pretty neat, nice job converting. Lets see some adventure pics now! How did you change the rear suspension? What are you running for front forks? 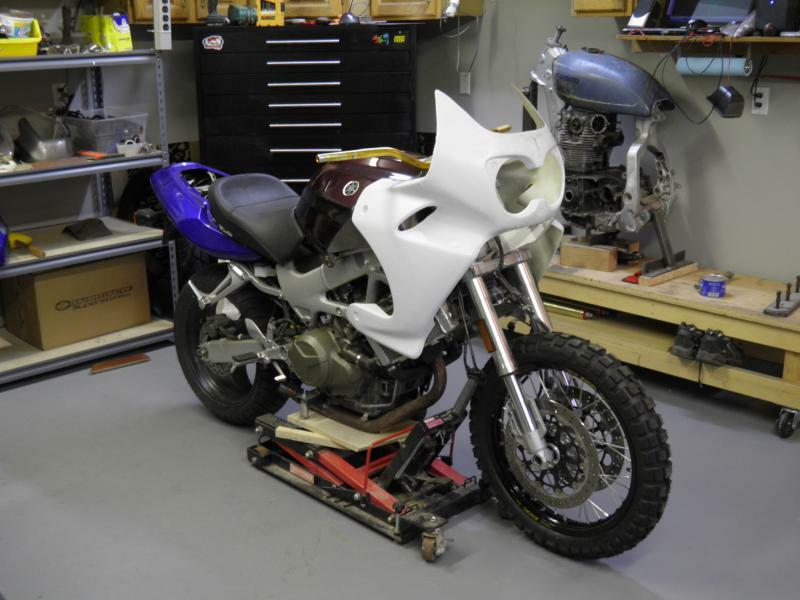 That's the Yamaha TRX fairing and tank iirc, fork too? I like that yamaha, but like yours better. Very cool job. Adventure bikes are the most popular on the planet right now. This one is the best ever since its based on a superhawk. More pics if you have em. Honda tired to turn a VTR into an adventure bike too. The Honda XL1000V Varadero is a dual-sport motorcycle produced by Honda. Different models have been in production from 1998 to present. It has capabilities for both long road trips and limited off-road. A smaller 125 cc version, the XL125V Varadero is also produced. 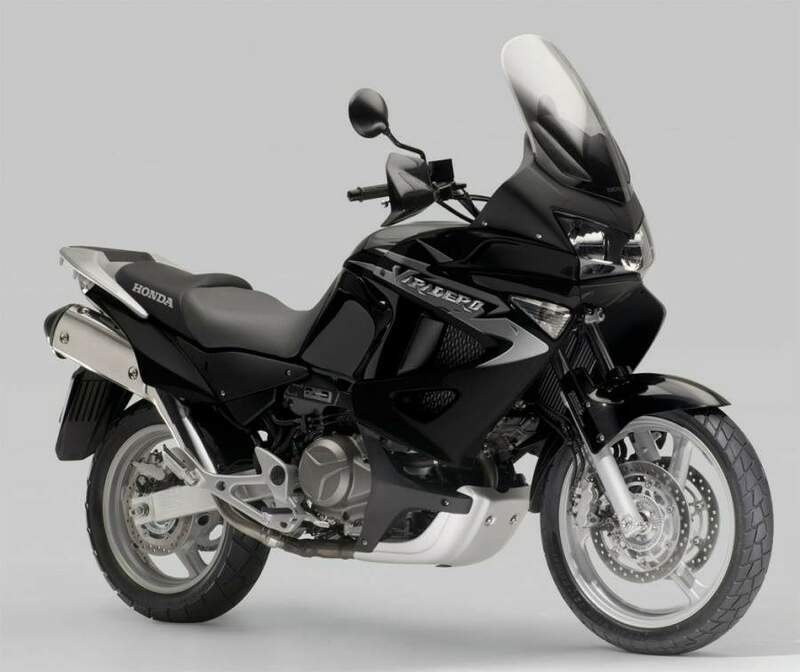 Honda's flagship Adventure Touring motorcycle, the XL1000V Varadero is a 996 cc V-twin engine Adventure Touring motorcycle. Honda introduced the Varadero to the public at the 1998 Munich motorcycle show. First launched in 1998 as a 1999 Model Year, its engine architecture is based on the Honda VTR1000F Firestorm/Superhawk. The Adventure category refers to motorcycles that are designed for long-range touring with basic off-road capability (hence the term Adventure used by Honda as opposed to Dual Sport such as the Honda XR650L. All versions feature a liquid-cooled engine. In 2001, Honda introduced its Honda Ignition Security System (HISS) essentially an immobilizer system not unlike those in automobiles. In 2001 production of the Varadero was switched to the Spanish Montesa Honda factory outside of Barcelona where the model continues to be built. For 2003 the Varadero received some major changes. These included the move to fuel injection and the addition of a six-speed gearbox and a new instrument panel. These changes benefited the model with better torque and fuel consumption. In 2004, ABS was introduced, and it is now fitted as standard in a number of markets based on Honda's safety commitment. You bet, I could totally do that! That raises some questions.. I've seen people talk about fuel injecting the VTR, but if the Veradoro came FI after 2003, and uses VTR engine, couldn't the Veradoro's FI be fitted onto the VTR? And does the addition of Six-speed gearbox mean the 1999-2002 XL was a 5 speed??? If so why would they do that when the VTR was made 6 speed to begin with? Maybe that's a WIKI error? 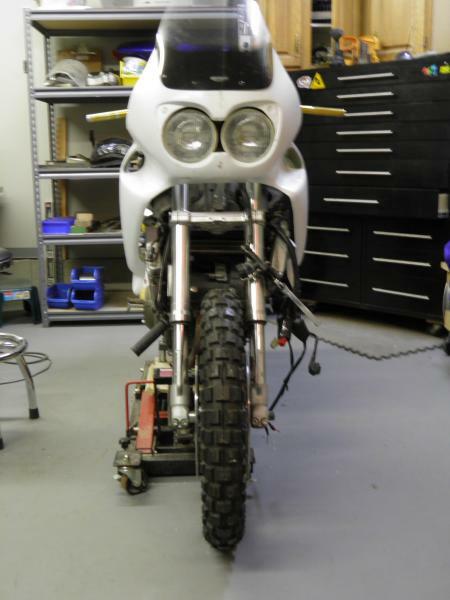 What did you have to do to get the FJR tank to work with the hawk's frame? I'd be really interested in knowing so I could do the same for my bike. I really like the PO incarnation of the Adventure Hawk - nice job! As for the Varadero, the theory was good - the execution, not so. 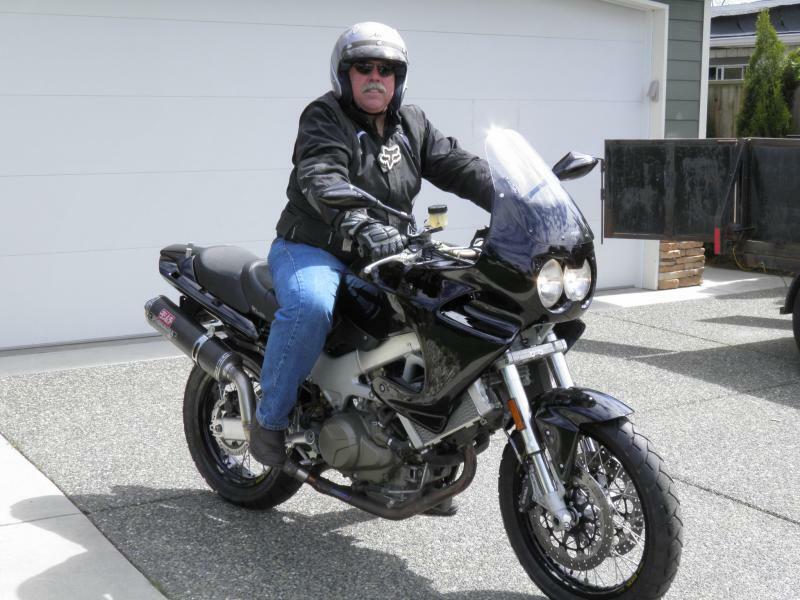 The R1150GS and the DL1000/650 were far superior and sold better. 25 liter gas tank - 9 more than the hawk! it's a lot of work but holds close to 6 gal.